Semi-automatic Chapati making machines by Qualimark are designed, engineered and manufactured using superior-grade raw materials and innovative technology. The machine improves the existing food preparation process by fastening up the process of chapati making in a commercial kitchen. 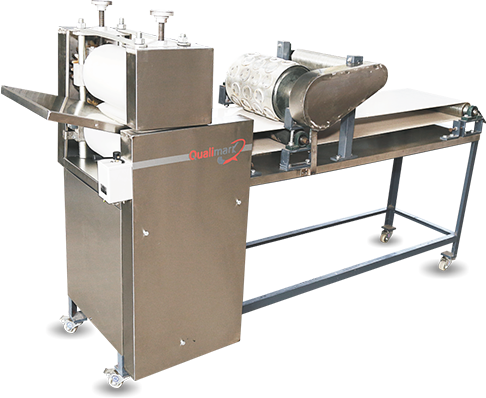 Available in different sizes as per the personalized requirements, the semi-automatic chapati making machine can be customized as per the chapati making needs of different kitchens. Coming with an easy-to-operate system, the machine can be programmed to control different parameters such as thickness, size or diameter of the chapati. The semi-automatic machine is very easy to operate owing to its revolutionary design with only one conveyor belt, two pressing rollers and one cutting roller. An operator just needs to start the machine, place the dough in the middle of two pressing rollers and an aata sheet comes out for final die cut according to the pre-fixed desired shape. The machine comes with a unique feature that facilitates changing the thickness of aata sheet. Designed keeping in mind the convenience aspect, this feature is based on a guide that can be rotated to set the desired thickness. 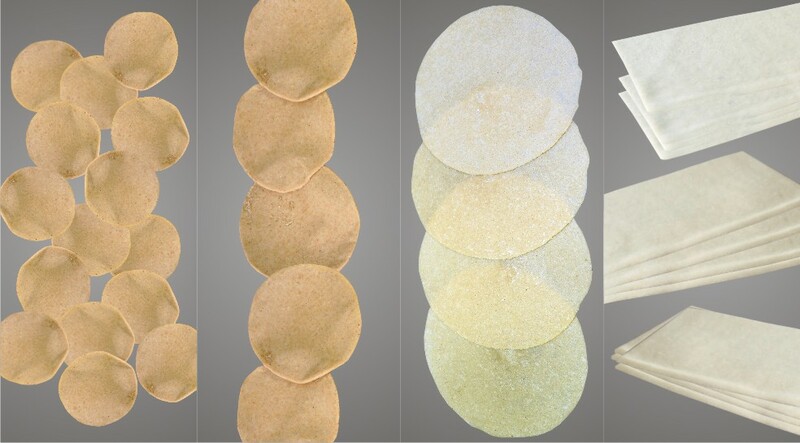 This feature makes the machine extremely user-friendly when it comes to making chapati, puri and panipuri according to customized specifications. The machine is based on an advanced design that makes use of minimal number of moving parts. This reduces the chances of breakdown, minimizing the need for maintenance. The pressing roller set in the machine consists of just 2 rollers instead of three, making the machine compact and reducing maintenance requirement to a great extent. Chapati – 600 Pcs. / Hr. Puri – 2000 Nos. / Hr. Pani Puri – 5000 Nos. / Hr. Chapati – 1200 Pcs. / Hr. Puri – 4000 Nos. / Hr. Pani Puri – 10000 Nos. / Hr.